This 2018 the Pantone Color of The Year is Ultra Violet — a dramatic and provocative purple shade. 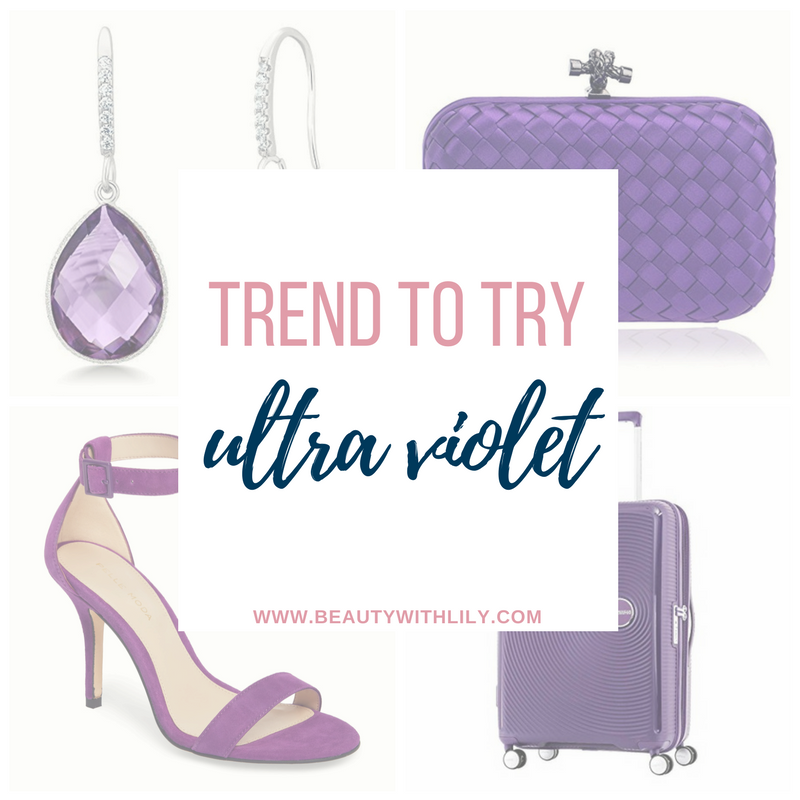 Try this trend by shopping some of these Ultra Violet Picks. When this years color was announced, I must admit, I was less than thrilled. I’m more into softer, neutral colors but as the time has gone by, I’ve grown to like ultra violet more and more. Pantone describes it as “a dramatically provocative and thoughtful purple shade, PANTONE 18-3838 Ultra Violet communicates originality, ingenuity, and visionary thinking that points us toward the future.” I can definitely see why — it’s quite a fun and unique color. Butter London always releases fun makeup goodies when the new year is announced, you can find a liquid lipstick, a lip gloss, an eye glaze and a nail polish. I think this eyeshadow palette, also has some great purple-y tones, and it’s only $12.99! For those looking for fun shoes, these fun pom pom pumps are gorgeous, this strappy sandal is perfect for summer, and you can’t go wrong with a simple high-heeled sandal. For accessories, these dainty earrings are so cute, this watch is stunning, and how cute is this clutch? So, what did you think when this color was first announced? After having a couple of years of soften, feminine colors, it was time for a fun color like ultra violet. Are you a fan of this years color choice? 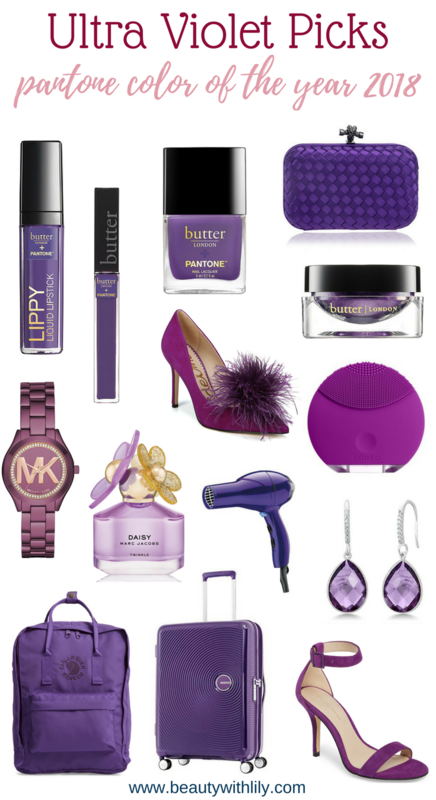 Are you going to rock anything ultra violet? "Valentine’s Day Gifts For Yourself"